The American Health Care Act is taking fire from all sides, not the least from the circular firing squad conservatives have formed, threatening passage of the only piece of repeal and replace legislation that House leaders say will be presented to members for a vote this year. President Trump has made it clear to Congress that he is determined to fulfill his campaign commitment on Obamacare, and he fully supports the bill that now has cleared two committees in the House. The Congressional Budget Office lobbed another bombshell into the debate on Monday with its estimates of cost and coverage with the House AHCA bill. It said the bill would reduce federal deficits by $337 billion over the next 10 years, including a $1.2 trillion tax cut to the American economy. But the problem was in the coverage estimates: CBO estimates that “in 2018, 14 million more people would be uninsured under the legislation than under current law. 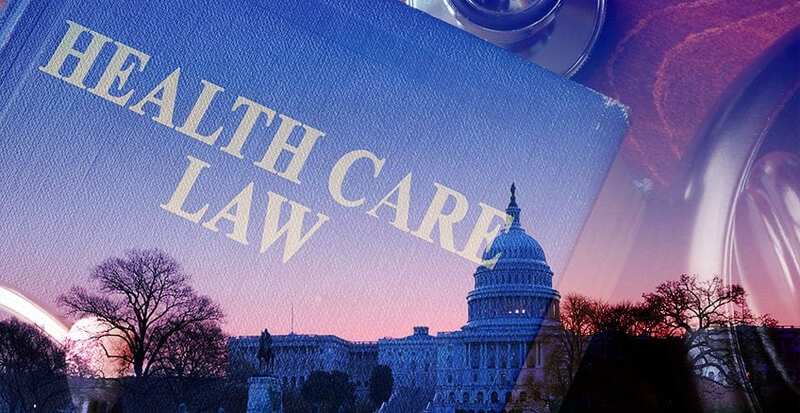 Most of that increase would stem from repealing the penalties associated with the individual mandate.” The CBO has consistently overestimated the impact of the individual mandate, and has done so again. By 2026, CBO says 24 million more people would be uninsured, largely as a result of changes to the Medicaid program. But the CBO’s estimate is a static analysis that is unable to reflect the dynamics of changes in the marketplace and human behavior. More people will be offered more choices of plans at more affordable prices under the AHCA, but the CBO says if the coverage is not as comprehensive as the Ferrari-level coverage in Obamacare, it doesn’t count. That is not the way millions of Americans see it. The CBO report’s coverage numbers defy logic. They project that zeroing out the individual mandate – allowing Americans to choose whether to have insurance – will result in 14 million Americans opting out of coverage in one year. For there to be the reductions in coverage they project in just the first year, they assume five million Americans on Medicaid will drop off of health insurance for which they pay very little, and another nine million will stop participating in the individual and employer markets. These types of assumptions do not translate to the real world, and they do not accurately estimate the effects of this bill. The White House and Congress are huddling now to see whether changes will need to be made to the House bill before it goes to the floor for a vote, likely next week. Whatever bill is presented to them to repeal and replace Obamacare, Republican critics are caught in a dilemma: Vote yes on passage and face constituents who are angry that “repeal” doesn’t go far enough and that “replace” goes too far. Vote no and face voters angry that they didn’t fulfill their promise to repeal the law. Some members of the right flank of the Republican Party, the Freedom Caucus, oppose the House bill because they object to the form of subsidies it offers for people without the offer of insurance at work or who don’t qualify for public programs. The subsidies would be in the form of refundable tax credits that can be advanced so the money is available when premiums are due. They say Republicans are creating a new entitlement. House Republican Study Committee chair Rep. Mike Walker is railing against allowing the expansion of Medicaid—the joint federal-state program for lower-income Americans—to extend until 2020 to protect people until new options are available. Others, such as Senate Health Committee chairman Sen. Lamar Alexander, are most worried about protecting the coverage his constituents in Tennessee have now, particularly because they want even more protections. 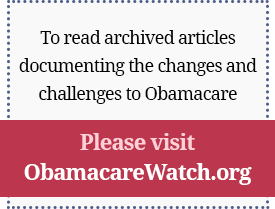 And many experts are concerned that leaving in place the bill’s regulatory provisions will lead to further distortions in the health sector, as The American Conservative’smanaging editor Robert VerBruggen wrote in these pages soon after the House repeal and replace legislation was unveiled. The complaints go on. President Trump, House Speaker Paul Ryan, and dozens of their generals and lieutenants are fanning out explaining why the bill is structured the way it is. Much of it is driven by the tortured “reconciliation” process that is the only path to passage of the bill through the Senate and by a legislative calendar that is backed up behind this bill, giving an urgency to completing work before the Easter recess on April 6. More than 15 months of work has gone into shaping this health reform package in the House, and Ryan believes this is the best answer to appease the many warring factions in his caucus while still trying to thread the needle of the process through which the bill must pass the Senate. Because Republicans control only 52 seats in the Senate, Democrats can filibuster any bill that comes before the body in normal order. Instead, the bill is moving through the budget reconciliation process that allows passage with only 51 votes as long as its provisions directly impact the federal budget—taxes and spending. That is why the regulations in the Affordable Care Act can’t be repealed wholesale—things like “guaranteed issue,” the requirement that health insurers must sell insurance to anyone who wants to buy a policy, even if they wait until they are sick to sign up. Even though this and other regulatory provisions, like dictating what must be covered in a policy, do increase costs, they are not expected to pass parliamentary muster in the Senate because regulations are not a direct budgetary issue. The House also tried to get away from having the Internal Revenue Service so deeply entrenched in health care and decided to tie the refundable tax credits to age rather than income, as Obamacare does. Under the AHCA, a single adult under the age of 30 would get $2,000 toward the purchase of health insurance, a couple in their fifties would get $7,000, and a family with dependent children could get as much as $14,000. There was to have been no income adjustment. Everyone would know how much of a credit they were entitled to, there would be no incentive not to work, and consumers would finally begin to put downward pressure on health insurance premium costs by demanding price transparency and better value for their dollars. But that ran into a political buzz saw when members realized they would have to explain why a young single mom was getting only a few thousand dollars in credits while someone with a high six figure income in the same age bracket got the same amount of money. So they put an income cap on the age-based credit. As President Trump said, “Nobody knew that health care could be so complicated!” And the House bill is only about 100 pages long, a fraction the size of the 2,000-plus page ACA. The AHCA, in fact, could be the most transformative entitlement reform in decades. It would begin to turn Medicaid into a program that would require states to be partners in managing spending to make sure the dollars cover as many services as possible and that those with the greatest need are getting the most help—the complete opposite of the current Medicaid incentives. Under Obamacare, states have a strong incentive to sign up able-bodied single adults for Medicaid, while people who are much needier and with much lower incomes linger on waiting lists. The AHCA also repeals $1 trillion in taxes that were primarily hitting middle-income Americans in the form of higher health costs—taxes on health insurance, medical devices, prescription drugs, etc. The bill zeros out the fines for the individual mandate and employers mandate. It provides increased flexibility for people to open and use Health Savings Accounts to help pay routine bills and save for future healthcare needs. It provides $100 billion over 10 years for the states to begin to innovate in providing extra help for those at the lower-end of the income scale, people with pre-existing conditions, and help to stabilize the individual health insurance markets that are near collapse. And, perhaps most importantly, it provides a safety net for people currently on Obamacare, both those with private plans through exchanges and those on Medicaid through 2020, while the new marketplace for more affordable insurance develops. House leaders have worked closely with governors and state legislators in crafting the plan. Governors believe they can deliver on expanded coverage, despite the static projections of the CBO. Republicans will face endless primary challenges in 2018 if they vote against the only repeal and replace bill that they will have a chance to vote on this year. There may be a chance to amend the bill when it hits the Senate floor, likely the third week in March, but that will mean a round-trip to the House to approve the amended bill—a risky endeavor. Speaker Ryan is assuring angry conservatives that many other targeted bills—such as allowing cross-state purchase of health insurance and medical liability reform—will move separately. Plus, Health Secretary Tom Price says he will use his regulatory authority to write rules that will be friendly to consumer choice, competition, and innovation. President Trump is all-in to help get the House bill over the finish line, over to the Senate, and onto his desk to deliver on what he considers his top campaign promise. If he has to jettison some of the transformative conservative reforms in the bill, few believe he would hesitate to do that. Conservatives may not like to hear it, but leaders and staffers have crafted what they believe is the best bill possible given the limits of the reconciliation process, the pressures of the legislative calendar, and the need to provide a safety net for those currently receiving ACA coverage. Democrats want nothing more than to get Obamacare off their political backs. Any replace strategy is risky. But voting against “repeal” could be the death knell for Republicans in 2018.